BE EASY—Your house needs to be ready to show at any time (within reason, of course). Don’t make potential buyers wait or make things too complicated, because they may move on and find something else by the time you are ready. Yes, it is inconvenient, but you want to maximize the number of qualified, motivated buyers who see your house. This will make a big difference in how soon you sell, for how much and under what terms. JUST BE GONE—Buyers need to imagine the property as theirs. This is extremely hard (and awkward) when the owner is following them around during the tour. The best thing to do during a showing of your property is leave it to the Agents and be gone. Buyers will have a hard time looking at the house if you are busy pointing out that it is your home. If you do happen to cross paths with a potential buyer or the buyer’s agent, a quick and polite greeting is fine, but limit the chit chat. Remember, it’s the job of the buyer’s agent to get the best deal they can for their client, so any vulnerability you show (or let slip in a “friendly” conversation) could end up compromising your position and costing you money. It is in everyone’s best interest (especially yours!) if you are not present during showings. A showing is a great opportunity to run errands or take the dog for a walk, so the buyer can take their time to look at the property without any pressure. Just like you being gone, if your pets are inside the property when a buyer views it, it is one more barrier to them feeling “at home” inside the property. While not always possible, make every effort to take the pets with you when a showing is scheduled. If it is not possible, be sure the pets are secured. Don’t let the pets become an unwelcome distraction or barrier to selling. ODOR AWARENESS—Smell is one of the first things a buyer will comment on if it is bad and something that may never be mentioned if it is good. When it comes to a home’s scent, no comment is a good comment. Cooking pungent meals, such as fish or heavily spiced food is not the best idea when your house is on the market. While fish makes a delicious meal, you don’t want to become the “fish house” when buyers discuss the property. If you have pets, stay on top of any potential pet-related smells. Scoop the litter box at least twice a day, clean out the cages often and sweep or vacuum pet hair daily. This includes the yard too! It would be a shame for a buyer to step in a yard “gift” and then your house becomes referred to as the “poop house” (that’s never good) or the buyer accidentally tracks it inside onto your freshly cleaned carpets. Agh! CUT THE CLUTTER—Nothing distracts a buyer like clutter. 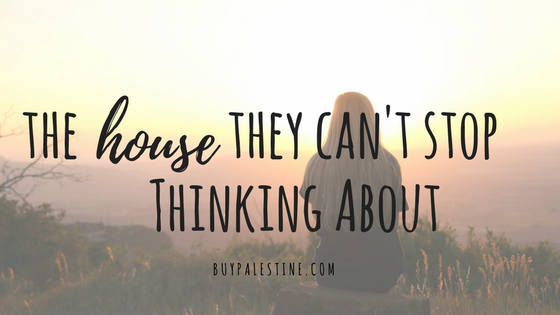 They are trying to look at the house, but if there is too much stuff, it will make the house seem too small and that will be all they discuss before they cross it off the list. Collect all the knick knacks and items that are not going with you in the move or that you do not need in the immediate future. Sell, giveaway, store or toss those items. You’re going to do it when you move anyway; you might as well do it now, so you can move sooner! Time is typically not your friend when selling a property, so it is important that you put your best foot forward to every buyer who enters. You want to be the one they can’t stop thinking about, not the one they can’t wait to get out of.